Rory is selling Hendersonville, Henderson County Real Estate! 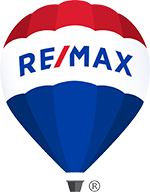 Rory is the Broker Associate with RE/MAX Four Seasons Realty. He has been selling real estate in Hendersonville since 1997 and licensed since 1991. He was Hendersonville's Board of Realtors Realtor of the year for 2013. Rory has been active in coaching youth Soccer and basketball. If you have questions about buying or selling your home in Hendersonville, Henderson County give Rory a call or Email him.